Universities are encountering “a tide of community and political hostility”, according to the chief executive of the Group of Eight, representing leading Australian universities. Vicki Thomson told a conference in Shanghai on Tuesday that “the more available to the community a university education in Australia has become, the less the community has trusted us”. She cited Glyn Davis, vice-chancellor of the University of Melbourne, as also identifying, in a recent speech in London, “a rising tide of criticism”. Ms Thomson noted that universities in other Western countries faced the same problem, with British Environment Minister Michael Gove saying “people in the country have had enough of experts”. In the US, she said, the Pew Research Centre found that 58 per cent of Republicans and Republican-leaning independents believed colleges and universities had a negative effect on the country. The growing distrust of universities was made more difficult to counter in Australia, she said, “in shifting sands where we have had six prime ministers and nine education ministers in a decade, each with a different teaching and research policy agenda”. 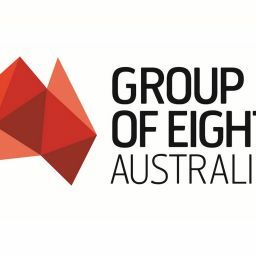 The Group of Eight is co-hosting a global conference in Brisbane on November 27 and 28 that will be discussing the loss of trust in universities. The universities, Ms Thomson said, best combat such negative perceptions “through example — through our results, our quality graduates, our highly successful alumni, our research, our global standing”. She was speaking at an event organised by Shanghai Jiaotong University. In China, universities have been told to toe the official party line with President Xi Jinping saying higher education “must adhere to correct political orientation”. She told the Chinese audience that Australia was, for students and researchers, “a destination of choice because we have, as a key principle, that everyone is free to challenge ideas and to counter perceived wisdom, with the ability to feel comfortable being challenged”. Ms Thomson said Australian universities were “especially proud of our graduates who return home to China”. The number of Chinese students in the Group of Eight universities had doubled in five years to 57,000 last year. This, she told The Australian, was “our largest market and our largest contingent”. The greatest growth in the sector is in postgraduate studies, now accounting for almost 60 per cent of all Chinese students in the Group of Eight, with 2270 Chinese PhD students at those eight universities. China had the biggest funding program in the world for PhD students to go overseas, Ms Thomson said — and research partnerships with foreign partners helped their universities rise in global rankings. But, she said, the number of Chinese students had created a challenge to maintain “a diversified international population” on campuses. “This is something we are very aware of, in terms of what we can do to diversify our student cohort,” Ms Thomson said. The conference in Shanghai, she said, provided “a very open environment for talking about a fairly provocative topic” — the fragile international political setting for universities — although, she added, “China would assert that it has a very secure political setting”. In contrast, “we are caught up in an anti-establishment push because we are seen as part of the establishment, caught up in the protectionist, anti-elite movement”. She said: “People don’t trust universities. It’s an era of mistrust. And we are in the spotlight more for the wrong reasons” than the right.